Many cancers are associated with the abnormal production of some molecules which can be measured in plasma/urine or can be detected on the surface of resected tumor tissue. These molecules are known as tumor markers. The potential uses of tumor markers are screening in the general population, differential diagnoses of symptomatic patients, clinical staging of cancer, estimating tumor volume, indicating prognosis, monitoring treatment and detecting recurrences. In order to obtain maximum clinical benefit, a tumor marker should have some characteristics. A tumor marker should be tissue-specific. The plasma level of the tumor marker should be in proportion to the size and activity of the tumor. A tumor marker should be present in plasma at a detectable level, even though tumor size is very small. A tumor marker should reflect the altered tumor characteristic as a response to therapy. Unfortunately, currently used tumor markers do not meet all of these criteria. A majority of them are present in normal, benign and tumor tissues, and unfortunately, they are not specific enough to be used for cancer screening in the general population. In addition, conventional tumor markers are poor in reflecting altered tumor behavior in response to anticancer therapy. They are of most value during follow-up appointments. Recent developments in molecular biology have led to the identification of numerous new tumor biomarkers. Firstly, the detection of DNA and RNA freely circulating in blood has provided a new perspective for the early diagnosis of cancer, patient follow-up, and assessment of therapy efficacy. Circulating free nucleic acids can originate from both malignant and non-malignant tissues. 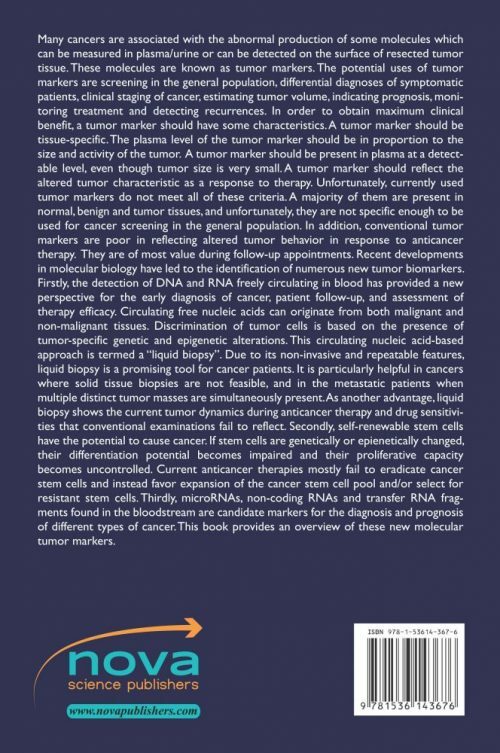 Discrimination of tumor cells is based on the presence of tumor-specific genetic and epigenetic alterations. This circulating nucleic acid-based approach is termed a “liquid biopsy.” Due to its non-invasive and repeatable features, liquid biopsy is a promising tool for cancer patients. It is particularly helpful in cancers where solid tissue biopsies are not feasible, and in the metastatic patients when multiple distinct tumor masses are simultaneously present. As another advantage, liquid biopsy shows the current tumor dynamics during anticancer therapy and drug sensitivities that conventional examinations fail to reflect. Secondly, self-renewable stem cells have the potential to cause cancer. If stem cells are genetically or epienetically changed, their differentiation potential becomes impaired and their proliferative capacity becomes uncontrolled. Current anticancer therapies mostly fail to eradicate cancer stem cells and instead favor expansion of the cancer stem cell pool and/or select for resistant stem cells. Thirdly, microRNAs, non-coding RNAs and transfer RNA fragments found in the bloodstream are candidate markers for the diagnosis and prognosis of different types of cancer. 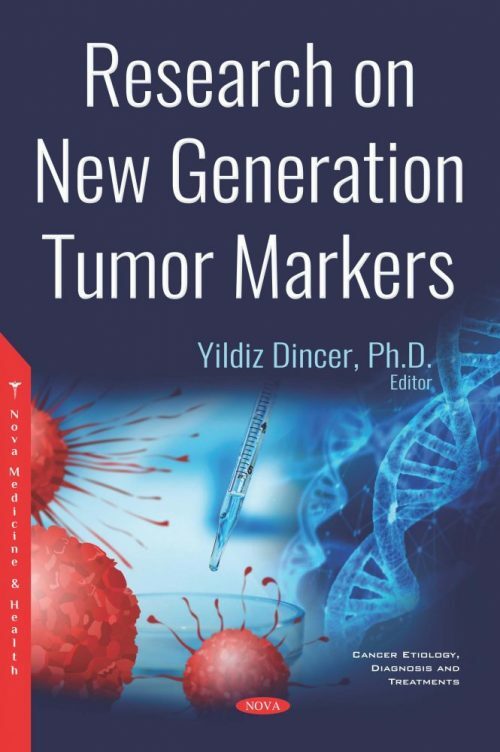 This book provides an overview of these new molecular tumor markers.